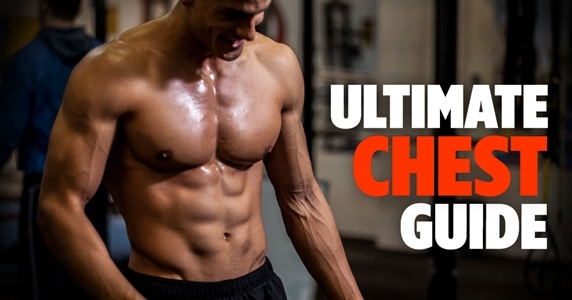 Learn the most important push up rules to improve your performance and results. Although the push-up exercise has become a symbol for bodyweight type exercises, as well as relative upper body strength, it is still one of the most improperly performed exercises. Often compared to the bench press, it’s still debated whether or not it is as effective for building strength and muscle as the bench press is. Although these exercises are quite different, by doing pushup variations and adding weight (in the form of a weighted vest) you can increase the intensity and produce similar adaptations as in the bench press. 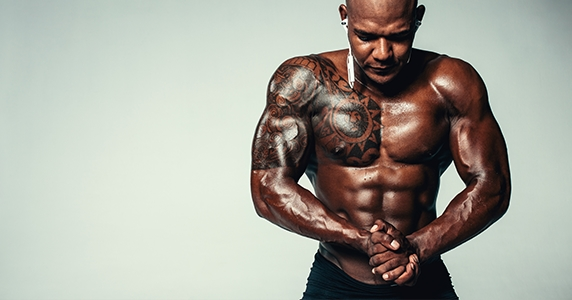 To learn more about which exercise is more effective, check out this Madbarz blog related to that topic. The basic principle of a push up is that you are pushing yourself up from the ground by using your chest, arms, and shoulder muscles while keeping the hands and toes in contact with the floor. But, in this blog, we will offer some additional insight. Here are 5 rules to follow when doing push-ups. These rules can help you develop the perfect push up needed for maximum strength and muscle mass improvements. During any exercise, the body has to be in a specific position for the muscles to be able to fully activate without causing any stress or tension to the joints. Keep your head aligned with the upper body. The most common mistake is to push your head backwards on the way up, trying to move it in the opposite direction of gravity, thinking that will help make the exercise easier. Also, a common mistake is to push your head down when moving towards the floor, creating an illusion of being closer to the ground. Keep your elbows close to your body. Allowing the elbows to flare out will activate the triceps muscle more and defeat the primary purpose of the push up, which is to activate the chest muscles. By keeping the elbows close to the body, you are also putting less strain on your shoulder joint. Generally, the recommended position of the elbows is to keep them around 45 degrees from the body. Keep your feet together or shoulder-width apart. Keeping your feet apart or joined together will not have a significant impact on the main muscle activity (chest, triceps) but it will make a difference in intensity. The version of a push up in which your feet are joined together will challenge your core more. Keep the spine in proper alignment. Meaning your spine should be in the same position as if you were standing up. As mentioned earlier, the main benefit of a push up is that it is an excellent exercise for improving upper body strength and increasing muscle size. 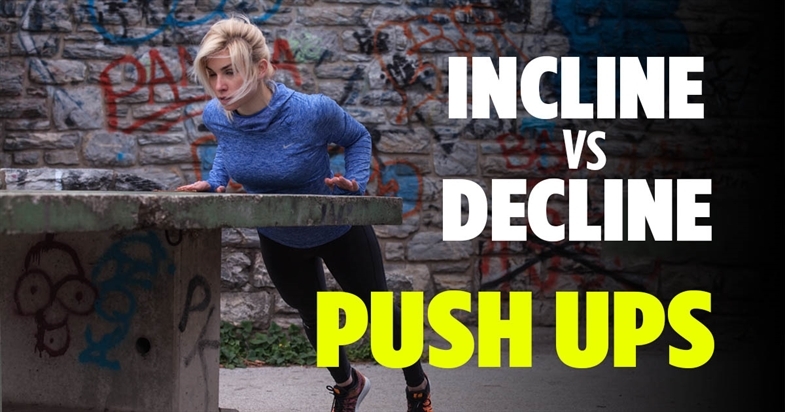 However, the most common critique the push up gets is that its effectiveness diminishes once a person has reached a certain level of strength. Meaning, the push up becomes less challenging over time. To increase the intensity and make your push ups challenging again, you can try push up variations (decline push-up, diamond push up, archer push up, one arm push up), adding weighted vests or doing push-ups on an unstable surface (suspended grips like TRX). It is common to forget to perform the push-up through a full range of motion. Meaning, go all the way up and all the way down in a push-up. The most common way of ‘slacking off’ in repetitions is to push your head down in hopes that your nose will reach the floor first. The next most common mistake is to drop your belly. Either way, the chest often gets left in mid-air with the arms not fully flexed as they should be. Try going all the way down and observe which body part reaches the ground last and not first. On the way up, the chest and thighs should leave the floor at the same time. Doing a full range of motion means you are activating more muscle fibers and stimulating muscle growth. During training (as well as the rest of the time), the body functions as a unit. Therefore, the movements you do during a push-up are the product of multiple muscle groups activating simultaneously. While it is important to activate the chest, triceps and shoulder muscles to be able to perform the movement, it is also of great benefit to focus on activating the upper back as well as the core muscles and glutes. By bringing your shoulder blades close to each other, you are activating your trapezius (upper and middle back muscle) and back shoulder muscles which keep your upper back and shoulders stable during the push-up movement. This acts as a stable base from which you can more easily and efficiently push yourself up from the floor. The abs and glutes need to be activated to keep your middle and lower back in proper alignment. So squeeze the glutes and tuck in the belly. You should always prioritize technique. Don't lose the proper form for the sake of going faster or simply performing a hard and cool-looking push-up variation. If you can't do it with proper technique, don't do it at all. There are always small decreases in technique when the fatigue kicks in, but that’s normal and acceptable. The best results are achieved with the best technique. Always prioritize technique and make the exercise harder, not easier for yourself, while simultaneously keeping your joints and muscles safe from overstraining or injury. Use what you’ve learned with one of Madbarz workouts or premium plans that focus on developing the upper body with various push-up variations. Get your Madbaz Premium and start practicing the perfect push up! Which one is more efficient and why?